Christmas trees and decorations do not go up in many European countries until Christmas Eve. 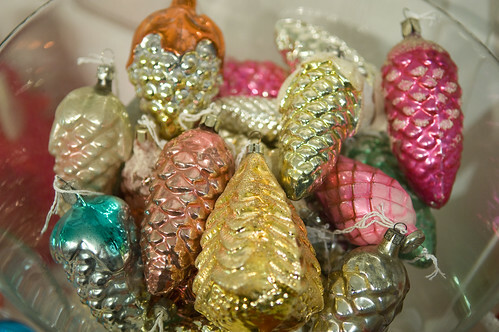 If you are one of those families who have yet to deck their halls, then you may be interested in these fab vintage Christmas tree baubles from Shikasuki in Primrose Hill, London. 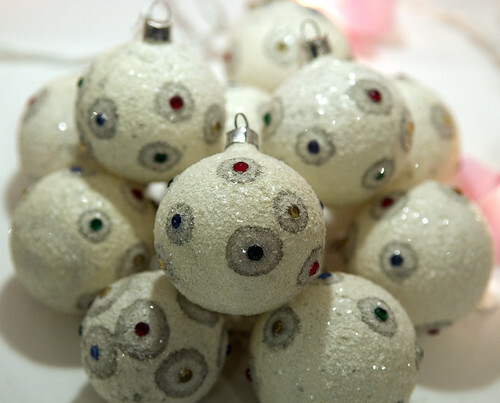 They have sourced their baubles from all over the world, from Moscow to the USA. Most of them date from the 1940s to the 1960s. The pine cones above came from Ukraine, and they also have 1940s feather angels with porcelain heads. The last selection of balls brings me back to my grandmother's. With lots of tinsel. They're so prettty! Aw! I would love to have them hanging on my tree! 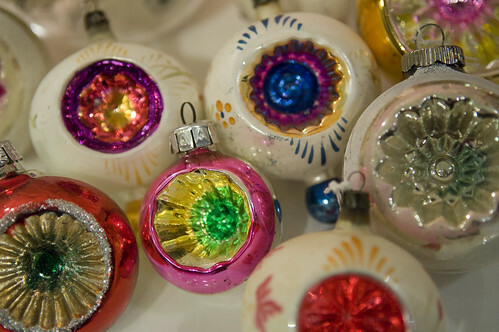 Good grief, my mum and dad have those exact same ornaments still, I knew they were old but not sure how they managed to make them last this long with 5 kids and 7 grand children…..
Those first ornaments are gorgeous! They kind of remind me of our Greek evil eye charm! Interesting. I found some decorations similar to the third picture at Portobello market and hesitated about buying them, of course I wished I had 2 hours later!